I will come clean and admit that the only reason I read this book was for the cover. When I first saw it I thought it was beautiful and I’ve always loved the fashion of the 50’s so I thought it would be cool to read a book set in that time. Of course, I did not read the blurb and I dove head first into reading the book. I’m not really sure exactly what I was expecting but it wasn’t what I got and I was more than pleasantly surprised. This book has a classy feel to it with just a bit of edge. It’s mystery and a touch of romance. Add in a good dose of paranormal. It reminded me at times of the “Fallen Angels” series by J.R. Ward even though they are nothing alike aside from the angels. It was more of an overall feeling of the book/world. One of my favorite things was how the author managed to blend two completely different eras by simply making the characters fit a different time than what they were living. Our hero, Griffin Shaw, was a PI in the 50s. He was murdered and is now an angel. The heroine, Kit, lives the Rockabilly lifestyle. The clothes, the hairstyle, the makeup. She has a fascination for everything 1950s and breathes it. Now put these two in modern day Vegas and let the fun begin. So basically Kit is a journalist and she’s trying to uncover a prostitution ring in which some politicians and some very powerful people are involved in. Her leg work and research leads to the death of her very good friend Nicole. When Griff comes to help Nicole pass, as is his angely duty, he commits one offense. He is then punished and bound to earth for penance. Still an angel, and still with some powers. Kit and Griff start working together to solve the murder of her friend, uncover the prostitution ring and dig information on who killed Griff and his wife more than fifty years ago. This was my first book by this author and I have to say the writing is superb! Definitely like watching a movie. Of course it might’ve helped as well that I listened to this on audio and the narration is amazing! I feel like this book had it all. An edge of my seat plot, twists and turns, mystery, action, a great bad guy, and even though the romance was somewhat secondary, it still played a bit part in the story I still enjoyed every bit of that as well. From the immediate attraction between these two and through the struggles, especially Griff had, of why their relationship wouldn’t work and that Griff was sure he still loved his dead wife. I just have to say that I cannot wait to read the next book in this series! And as a good cover whore…again…I gotta have it if only for that alone. I am a Las Vegas native who has always loved to read and write, yet a brief post-college stint in public relations convinced me that “working on assignment” was not the career for me. So I did what any self-respecting Vegas girl would do: I became a showgirl by night … and a closet novelist by day. A decade later I became an “instant bestseller” with my Signs of the Zodiac fantasy series featuring reluctant superhero, Joanna Archer. The Celestial Blues para-noir trilogy – about a 1950’s PI-turned-angel unwillingly dumped into the 21st century – quickly followed, and I recently finished work on a stand-alone psychological thriller. 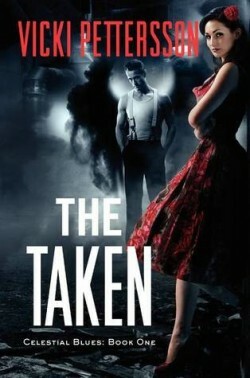 Though I write both paranormal and straight thrillers, the tie that binds my work together is my insistence and love for strong female characters, and with ten novels behind me I can now look back and clearly see that my passion – no, my obsession – is writing about what it means to be a woman in this man’s world. How we choose to move through it. How we define and present ourselves in it. How we prepare our daughters to do the same. Of course, there are countless ways to answer this question, and my protagonists in my first two series – Joanna Archer and Kit Craig – do so in very different ways. Yet whether their strength is primarily physical or mental, the one thing all my female protagonists share is a willingness to face their respectively dark and dangerous worlds head-on. I love that, and so I continue to write about women who defy the odds, women who refuse to be silenced or stopped. I write the women who simply won’t be written off.